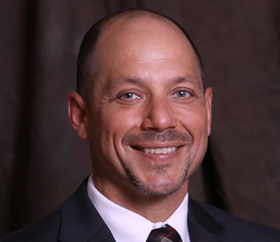 Dr. Alan Kaplan was announced Tuesday as the next CEO of UW Health in Madison, Wis. Kaplan is currently executive VP and chief clinical transformation officer at UnityPoint, a regional health system based in West Des Moines, Iowa. Kaplan is scheduled to start the job in early May, succeeding interim leader Dr. Jeffrey Grossman. In addition to his system-level role with UnityPoint, Kaplan founded and serves as CEO of UnityPoint Clinic, a network of more than 280 clinics in Iowa and Illinois with about 1,200 physicians and other clinicians. He also serves as president and CEO of UnityPoint at Home, which provides home care, palliative care, hospice and home infusion. “Dr. Kaplan's outstanding record of driving and managing change and integration will be of great value to UW Health as we move forward towards becoming a more fully integrated academic healthcare system devoted to seamless care centered around our patients,” Dr. Robert Golden, dean of the UW School of Medicine and Public Health and chair of the executive search committee, said in a statement. Kaplan previously was a VP and chief medical officer at Naperville, Ill.-based Edward Hospital and Health Services, which has since merged with Elmhurst Memorial Healthcare. The University of Wisconsin Hospitals and Clinics Authority oversees UW Health. According to Modern Healthcare's database of health system financial results, the UW Hospitals and Clinics Authority reported $1.4 billion in total revenue in fiscal 2014, a 10.6% increase over the previous year.